The first part of this process is in the DESIGN of the learning space. The Third Teacher is a monograph written in July, 2012 that outlines how the environment of the classroom can function as the third teacher to support student success. Sir Ken Robinson is quoted "Look at the learning space with 21st century eyes: does it work for what we know about learning today, or just for what we know about learning in the past?". The second part of this process is in the DESIGN of the learning outcomes - goals and success criteria. What are the success criteria? How will students know when they have achieved success in the learning events and how will technology support this process? empower student learning through collaboration - can this be face to face or done digitally? give weight to student voice through dialogue - can students share their 'voice' in new ways using digital technologies? focus on student solutions and interpretations - when can students explore options, present differing perspectives, consider other's points of view (presenting solutions or interpretations through a variety of digital or low-tech media? As educators we DESIGN 'rich and engaging learning environments' by shaping conditions where open-ended materials 'foster creativity and problem solving'. (The Third Teacher, July 2012). 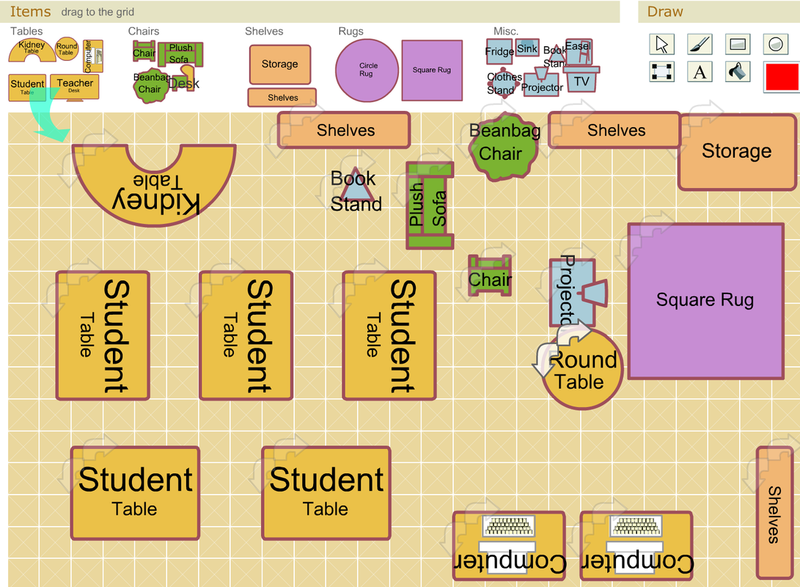 Explore a virtual design for your classroom space. Play with combinations of items to fit into your space. Although this type of planning and design is limiting, it can provide you with a sense of how important the careful design of the space can be. Image you could re-design the classroom from your first placement. How would you structure the space to suit your students and your teaching style? Designing the physical space of the classroom. What is UDL? How does it apply to digital teaching and learning? Intersections between Universal design for learning and differentiated instruction are outlined in this handy ONE-PAGE brief. Together, these two strategies can be combined to provide powerful learning opportunities for students. Differentiation will be explored further in next week's session.